Several members from Killer Rydz made a showing. Even my attack rabbit "TEDDY" made this show. Russ Brown showing off his 1989 Miller Meteor Endloader. 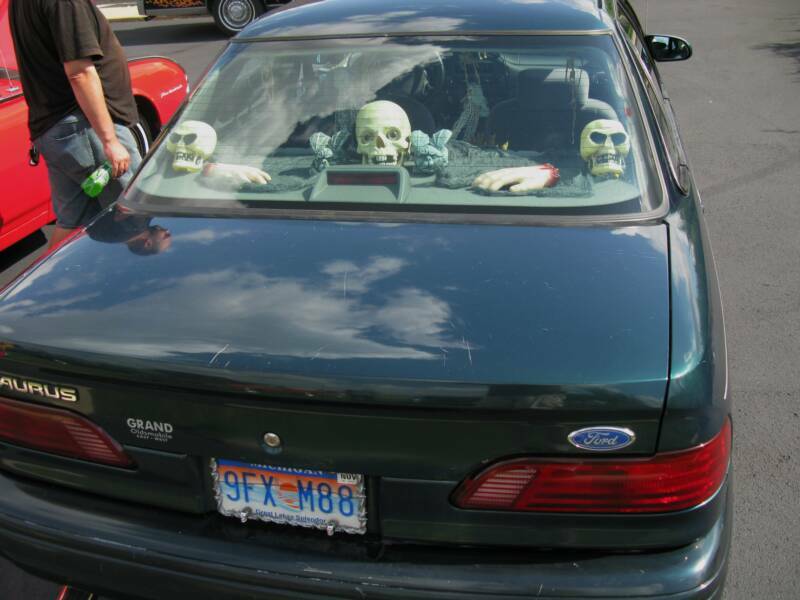 Joe Leaf was showing off his Haunted 1995 Ford Taurus. THIS WICKED LITTLE PIECE OF MACHINERY IS CALLED A RAPTOR. This ride belongs to Robert. He calls it K.I.T. And yours truely of course. Along with Brittney, Wensday, Cassie, Jack, Chucky,Tiffany, Glen,Saw, It, And Prisilla.